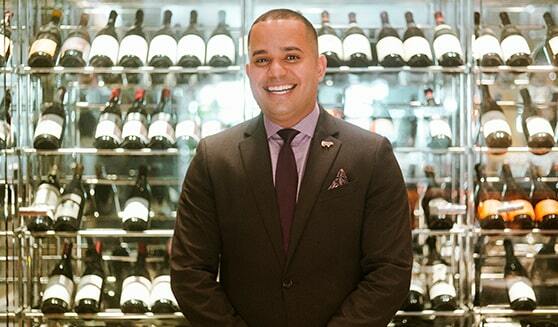 Giuseppe’s passion positioned him to make a big moves – from our world-class pool to our world-class restaurant. I started as a Pool Attendant then moved to a Pool Server. While working as a Server, I started helping other departments like the Lobby Lounge and Cascata. I then moved to the Harry Soffer Room as a Server and then to Bourbon Steak as a Captain to pursue my true a passion for food and wines. Having the opportunity to give guests an experience that will leave a lasting memory which is rewarding. I also enjoy what our Bourbon team accomplishes every night. Having the right tools for one to gain personal growth within the company and a beautiful property. My promotion to restaurant captain. The new phase of the hotel which will bring new tasks and goals. Be willing to give selfless hospitality.